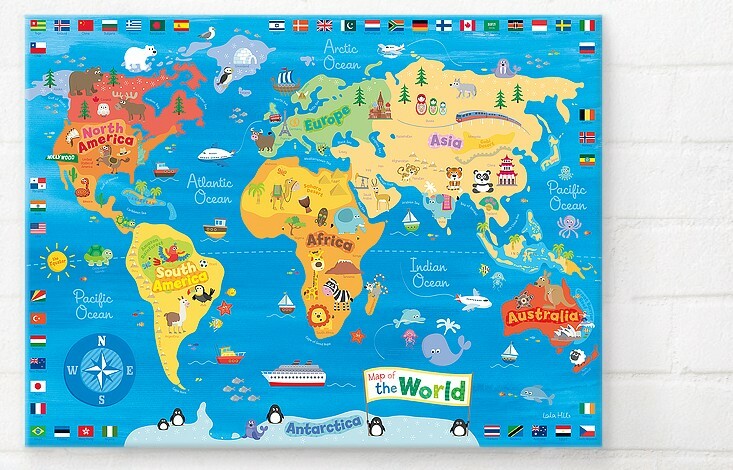 Today, we are featuring our beautiful World Map canvas print from Happy Spaces . This Happy Spaces canvas is by artist Laila Hills. 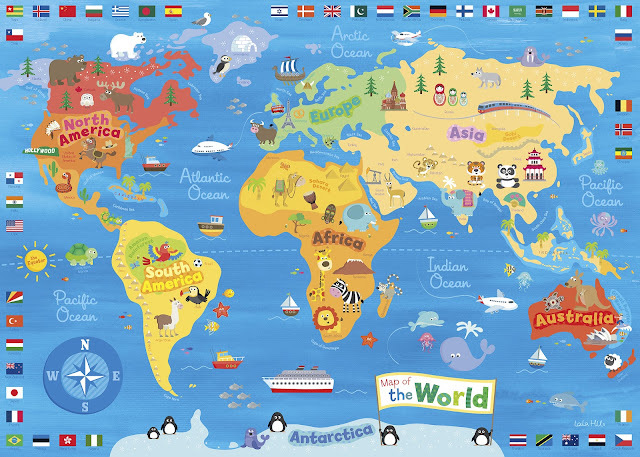 A great picture for your little ones to learn about the world, showing continents, oceans, animals, flags and famous icons. All our Happy Spaces Wall Art are high quality, vibrant prints, making them pictures to remember.